Graham Nash: These are chaotic times, and they can look forward to two or three hours of relative peace. I know there’ll be some songs that will soothe their souls. 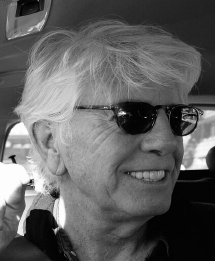 A lot of music – I’ve been creating music for many years now – everything from The Hollies all the way through to today. I’ll be there with Shane Fontayne on guitar, and Todd Caldwell on keyboards. JM: I understand that you’ll also be telling stories about how some of the songs came together? GN: Yeah, I think people who enjoy music but don’t compose music are fascinated by the art of songwriting. They think, as well I do, that it’s magic. I’m not sure how it happens. In my particular case I have to feel something very deeply before I start to write about something, because words are incredibly important in my life. And I get on with my life, and here we are talking all these years later. JM: As a preview, could you tell us how the song “Teach Your Children” came together? GN: I started it in late ’68, in one of my last times with The Hollies. I had this sketch of it. I’ve been collective photographs for many, many years, and at one show of images that I’d collected that was in a museum, I noticed that the curator of the museum had put two images together that I had collected that really struck me. One of them was a Diane Arbus, this photograph of a boy in Central Park with a hand grenade, and it was next to an Arnold Newman portrait of a Krupp, who was a founding member of a German armaments manufacturer for both World Wars. When I realized was I was looking at, the horrible face on this kid in one picture with a plastic hand grenade with incredible anger on his face, and the portrait of Krupp next to it, I began to realize that if we didn’t teach our children a better way of dealing with our fellow human beings, humanity itself was in jeopardy. That’s what was going on. 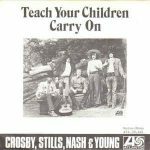 I sing in the song, of course, that we have a lot to teach our children, but I still maintain that we have a lot to learn from them. Here’s a perfect example. The energy and the passion in the survivors of the Parkland school shooting, and their passion to realize that politics is not just for grown-ups, but those politicians are actually ruling their lives. Now they’re realizing that they have to go around the country trying to get people to vote. They’re urging people not to vote for politicians who take money from the NRA and the gun lobby. I began to realize that this is a perfect example of learning from our children. I had this friend, Jeff Scher, and he did some animated work for Joan Baez about ten years ago. I liked his work, and he put together an animated video for my song “Teach Your Children”, and it’s on YouTube right now. JM: Cool, I’ll check that out. If you don’t mind going way back, I’m curious about some of your early trips to America with The Hollies. What are some of your memories from those? GN: Of course, the first time I ever came to America I never wanted to go back. I swear. Because what happens when you’re in a band in the north of England, the first thing you want to do is conquer your school, and then you want to musically conquer your town, and then you want to musically conquer Manchester, which was the biggest town next to us, then you want to musically conquer London. And then what? New York City. That’s what happened. The Hollies came to New York City in 1965 over Easter, and we played The Soupy Sales Show at the Paramount Theater in Times Square in New York City. I mean, you’ve got to understand, we were five kids from the north of England, from relatively low income families, and here were walking in Times Square with this gigantic billboard with a mouth that was puffing smoke – you know, Joe Camel or something – and being able to get food whenever you wanted, anytime night or day. The phone rang the same it did in the movies. This was heaven to me. I never wanted to go back and live in England after that. JM: Did The Hollies do any big tours of America? GN: Yeah, we toured a couple of times. JM: I noticed one of the places that The Hollies played was close to where I grew up, in Cedar Rapids, Iowa. Do you happen to remember anything about that show? GN: I believe that was the show after the one we were supposed to have played the night before, I think in Milwaukee. For some reason, the musician’s union didn’t give us permission to play because some document had not been signed in time, or something. I remember that. There’s actually footage of The Hollies being interviewed about that incident. I think Cedar Rapids was the next night. JM: That was before my time, but it struck me that you visited there. GN: It was before my time, too. JM: I’m a big fan of the album Butterfly, which was the last one you did with The Hollies before the reunion which came later. What are your reflections on that album? GN: You know, after the rock ‘n’ roll business realized from John Lennon and from Brian Wilson that albums need not just be a collection of singles and the B-sides, that it could actually be a musical journey, we were intent on exploring sounds just like they did. Because they were the leaders of what was going on. They were ahead of everybody, obviously. So “Butterfly”, that particular song, was a very gentle song that I’d written, that we did with an orchestra. 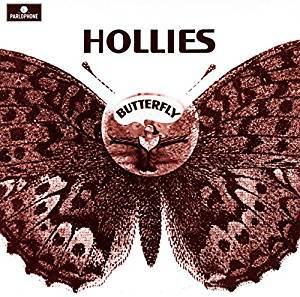 And I think that if you listen to the album, you begin to realize that The Hollies were quite experimental in utilizing different rhythms and different sounds. 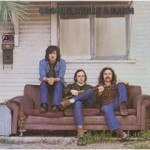 JM: It’s hard to believe, but the first Crosby, Stills & Nash album is almost 50 years old. What are your reflections on that album? 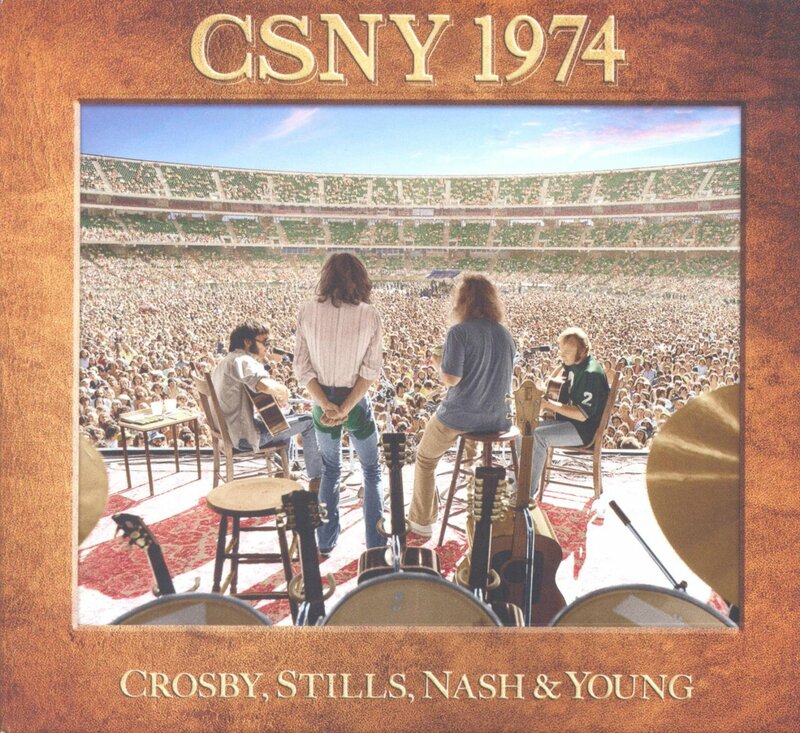 And I should say, that’s my favorite of the CSN albums. GN: I have to say that it’s my favorite also. I know we made a lot of music, but there’s such joy on that record, and it’s reflected in the music. The joy of finding two musical partners who appreciated what I was bringing to the party. The joy of discovering what songs they were writing, and what songs of mine they liked. The joy of living in the sunshine in Los Angeles. I played my last show with The Hollies on December 8th, 1968, and on December 10th, two days later, I was in Los Angeles with David and Stephen. There’s a lot of joy on that first Crosby, Stills & Nash record, and it’s also my favorite, too. Thank you. 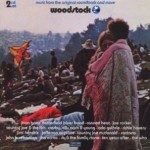 JM: I know everyone asks you about Woodstock. What was that experience like for you? Was it terrifying, or joyful, or a combination? GN: I think we had to tolerate the conditions. I wasn’t scared at all. I’d already been in a rather famous band in England, The Hollies of course, and I’d already played pretty big shows. So I wasn’t particularly scared at all. I think Stephen was a little nervous. It was him that said that “We’re scared shitless.” But it was an interesting event. But, quite obviously, if everybody was telling the truth when they came up to me and told me they’d been at Woodstock, the actually planet would’ve tilted. JM: Speaking of big festivals, it seems that we don’t hear so much about when Crosby, Stills, Nash & Young played at Altamont, at which things kind of went sour. What are your memories of Altamont? GN: Tension, electronic music playing between the acts, the obvious recognition that something dark was going on, the ultimate need to get out of there. We played our set and then left immediately to go to Los Angeles that same night, where we had another show. Not a good feeling about Altamont at all. 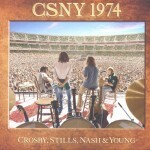 JM: I really enjoyed the Crosby, Stills, Nash & Young 1974 Tour box set, which I know you helped to put together. David Crosby has called that tour the “Doom Tour”, but the music on the box set is really amazing. What are your feelings now about that particular tour? GN: I completely disagree with David, and I even did so at the time. It may have been the “Doom Tour” for him, but it wasn’t for me. I was having a great time, I thought that we were a great rock ‘n’ roll band. I thought that some nights we played way above our heads, some nights we played way below our heads. But what happened is that I’d seen some bootleg of the show that we did at Wembley Stadium in 1974, and it was quite awful. So what I wanted to do… I know that we were better than this. I wanted to put out an album of what we were, and he obviously gave permission as the rest of the boys did, so me and Joel Bernstein and Stanley Johnston put together that record. And I think it really shows that Crosby, Stills, Nash & Young were a very decent rock ‘n’ roll band. JM: Your autobiography came out five years ago. In the process of writing that, were there any surprises that you learned about yourself, or the things that you reflected on? GN: When I got the first version – you know it’s a stack of paper an inch and a half high, double-spaced lines – I got to the end of it, I was alone at my house in Los Angeles, and I looked down and said to myself, “My God, I wish I was him.” Because it sounded insane. It sounded like some screenwriter gone crazy. You know, I realized that I’ve had an incredible life. I’ve lived by not concentrating on the past, but concentrating on what’s going on it the future, and trying to do the best that I can in everything I do. Now, of course I never make it, of course I don’t get there a hundred percent, but my heart and soul are in that mode of trying to be the best I can with whatever time I have left. JM: That’s a great lead-in to my next question. Is there anything in the works right now? You released an album two years ago. Are you thinking of recording some new stuff perhaps? 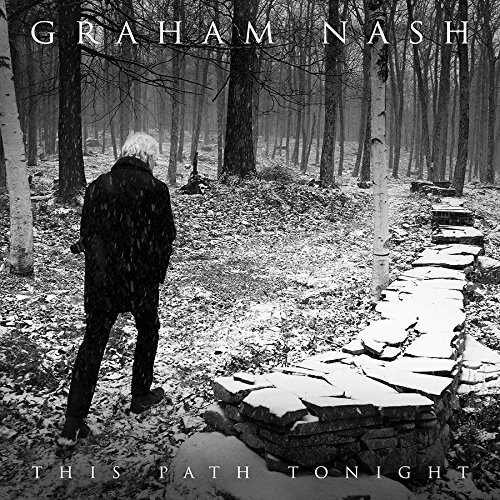 GN: Yep, Shane Fontayne and I wrote twenty songs for that album, This Path Tonight, and we only utilized ten of those, thirteen if you got the deluxe box set. So, yeah, we have ten left that we like that didn’t fit musically on the journey that I wanted to create with the album. And I’m still writing. I have several new songs. So somewhere towards the end of this year, or the beginning of next year, I’ll go back into the studio. JM: Your latest release was the compilation Over the Years, and it’s cool that you included the demos for a lot of your well-known songs. What was it like for you to go back and listen to those demos? GN: I realized that, first of all, I sounded incredibly young, and a little naive. 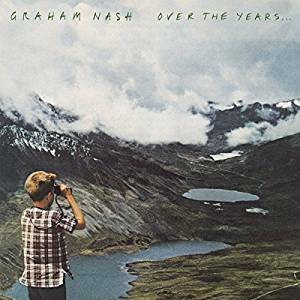 But what is fascinating to people is watching the transition from a simple demo that I made in 1969, and then to listen to the record that we made of that song. That’s the fascinating thing that people are loving about Over the Years. It’s that transition from the actual demo and what rough arrangement I had in my mind, to the actual record that we made of those songs. It’s really fascinating to people. I’ve had a lot of very positive comments. JM: It’s cool that you were part of the the Our World broadcast of the song “All You Need Is Love” with The Beatles and a bunch of other well-known artists. Can you tell us a bit about what that experience was like? GN: It was an enormous experience. I got the call one Sunday morning from Paul, who said that the boys were doing this show at Abbey Road, and would I like to go down there. And I said, “Great! Is there an audience?” He said, “Yeah, we have an audience.” And I said, “How many do you think you can fit in there?” He said, “Probably about a billion people.” [laughs] And then I realized, of course, that it was going to be on satellite, and being broadcast around the world. A lot of countries had gotten together and presented the best face for that country, within a certain time frame, like an advertisement for England or Ireland or France, or for any country. And Britain wanted to put The Beatles in there, and John wrote the song “All You Need Is Love”. I got down there and it was chaotic. There was an orchestra, and they were all dressed in tuxedos and funny noses and stuff like that. And those blowing things that you have at parties. So I sat down and watched them do that. It was a tremendous experience, and I’m very grateful to Paul for including me. 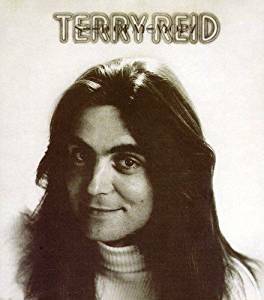 JM: I wanted to ask you about the Terry Reid album Seed of Memory, which I was surprised to learn that you were involved with. Can you tell us about recording that with him? GN: I’ve known Terry Reid since he was 16 years old, and I’ve always recognized that he has tremendous talent. I’d already been in America for a couple of years, and Terry was there, and we made that record. It’s one of my favorite records that I’ve ever been involved with. 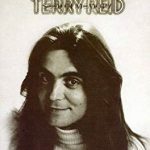 I think it really showcases Terry’s talent as a songwriter, and as a musician and a record maker. I love Seed of Memory. I believe, even though I was involved, it’s a really fine piece of work. JM: What advice would you give to an aspiring musician, or an aspiring songwriter? GN: Two things. One, I think you should follow your heart. I think that if you really dig deep inside of yourself to your heart, you will come up with the right answer to whatever question you’re asking. And secondly, I think life is made of choices. Every single day, how do I get out of bed, or where’s the bathroom… You know, choices all of our lives. We have to realize that our life is full of choices, and we have to choose wisely. JM: That’s good life advice, even beyond music. GN: Yeah, well, you know, music is only a part of this insane universe.